How old are each of the stars in our roughly 13-billion-year-old galaxy? A new technique for understanding the star-forming history of the Milky Way in unprecedented detail makes it possible to determine the ages of stars at least two times more precisely than conventional methods, Embry-Riddle Aeronautical University researchers reported Jan. 10 at the American Astronomical Society (AAS) meeting. Current star-dating techniques, based on assessments of stars in the prime or main sequence of their lives that have begun to die after exhausting their hydrogen, offer a 20-percent, or at best a 10-percent margin of error, explained Embry-Riddle Physics and Astronomy Professor Dr. Ted von Hippel. Embry-Riddle's approach, leveraging burnt-out remnants called white dwarf stars, reduces the margin of error to 5 percent or even 3 percent, he said. 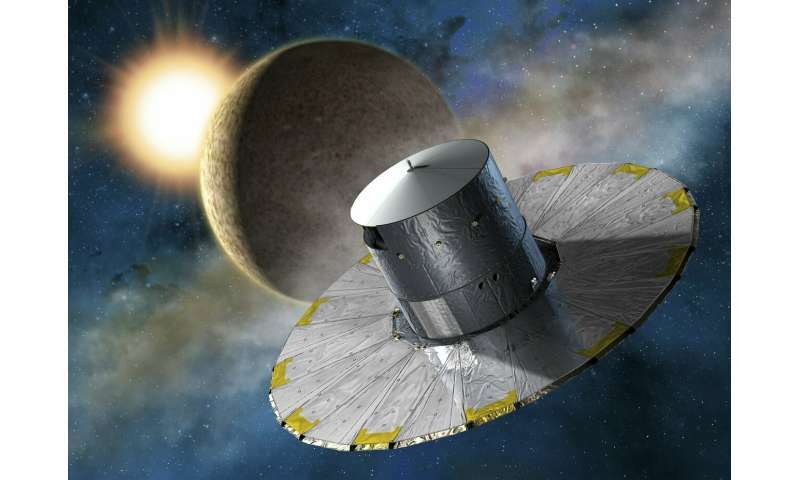 For this method to work, von Hippel and his team must measure the star's surface temperature, whether it has a hydrogen or helium atmosphere, and its mass. The surface temperature can be determined from a star's color and atmospheric constituents. "The star's mass matters because objects with greater mass have more energy and take longer to cool," said von Hippel, director of Embry-Riddle's Physical Sciences Department Observatory and 1.0-meter Ritchey-Chretien telescope. "This is why a cup of coffee stays hot longer than a teaspoon of coffee. Surface temperature, like spent coals in a campfire that's gone out, offer clues to how long ago the fire died. Finally, knowing whether there is hydrogen or helium at the surface is important because helium radiates heat away from the star more readily than hydrogen." The method takes advantage of data captured by the European Space Agency's Gaia satellite, an ambitious mission to create a three-dimensional map of the Milky Way. Von Hippel, with recent Embry-Riddle graduate Adam Moss, current students Isabelle Kloc, Jimmy Sargent and Natalie Moticksa, and instructor Elliot Robinson, used highly precise Gaia measurements of the distance of stars. Just as a car's speedometer may appear to give two different readings from the driver's perspective versus the passenger's seat, celestial objects can appear to be in different locations, depending upon the viewer's vantage point. 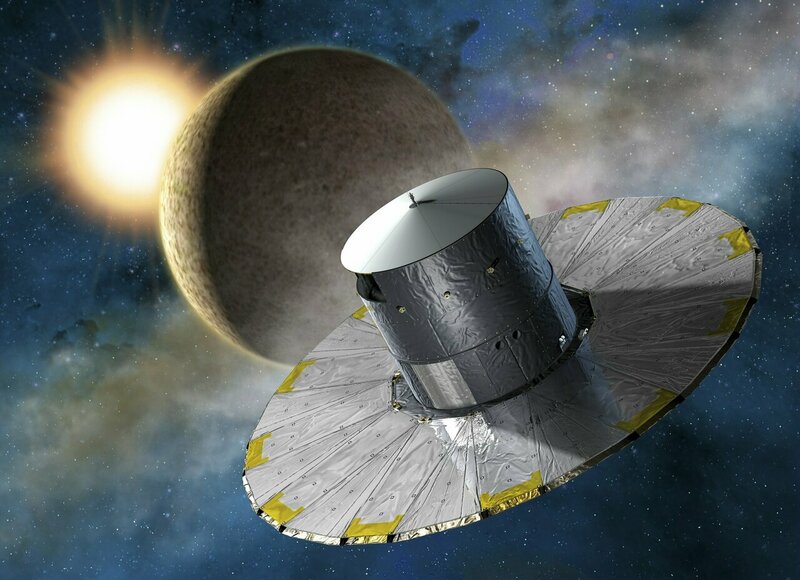 The Gaia measurements, based on the geometry of two different lines of site or "parallaxes" to objects, helped Embry-Riddle researchers determine the radius of stars based on their brightness. They could then use existing information on the star's mass-to-radius ratio—a calculation driven by the physical behavior of electrons—to fill in the last ingredient for determining the age of the star, its mass. Finally, by figuring out the abundance of different elements within the star, or its metallicity, researchers can further refine the age of the object, Moss and Kloc reported in two separate AAS poster presentations. Moss focused on pairs of stars with one white dwarf and one main sequence star similar to our Sun, while Kloc's research looked at two white dwarf stars in the same binary system. "The next level of study will be to determine as many of the elements in the periodic table as possible for the main sequence star within these pairs," von Hippel said. "That would tell us more about Galactic chemical evolution, based on how different elements built up over time as stars formed in our galaxy, the Milky Way." Though he emphasized that the current work remains preliminary, the team ultimately hopes to publish the ages of all white dwarf stars within the Gaia dataset: "That could allow researchers to significantly advance our understanding of star-formation within the Milky Way." Within the field of archaeology, von Hippel noted, carbon-dating methods made it possible to determine the age of structures, fossils, Stone Age sites and much more, thereby providing deeper insights into the evolution of life on Earth. "For today's astronomers, without knowing the age of different components of our galaxy, we don't have context. We've had techniques for dating celestial objects, but not precisely."